Planning an event in Oxford? 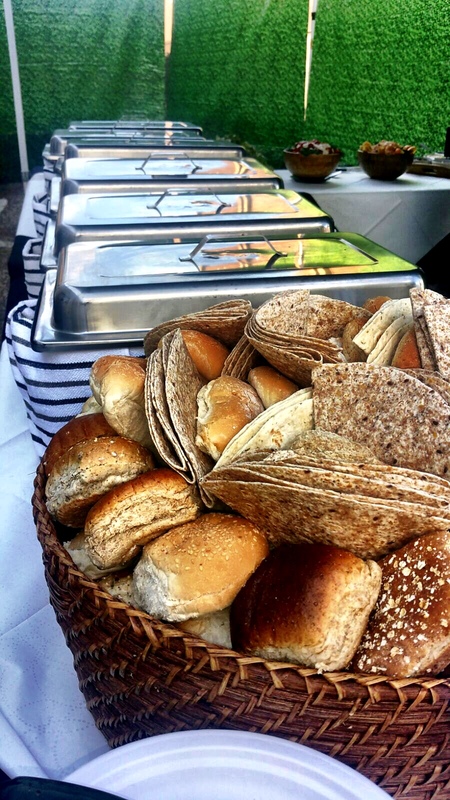 Whether you’re hosting a family party or a business function, indoor or outdoor, we can help you sort your catering, providing everything you need for a delicious hog roast lunch or dinner. Expect great quality food for all your guests. At Oxford Hog Roasts we specialise in providing all you need to host a hog roast party. We have a team of professional chefs on hand to cook and serve your food and only use the finest local ingredients to make sure that each mouthful is extra tasty. Whatever your reason to celebrate, we can make it all happen from the canapes to the desserts! Take a look at our great selection of menus, and if you can’t find the perfect one then don’t worry, get in contact today and our lovely staff will help you out. At Hog Roast Oxford we have over ten years of experience in providing great customer service, great food and only using the most efficient roasting equipment, so each event can go as smoothly as possible. We have previously catered for private parties, weddings and corporate dos. When you want to give your guests something a little different come supper time, our hog roast services never fail to disappoint, no matter what age your attendees. 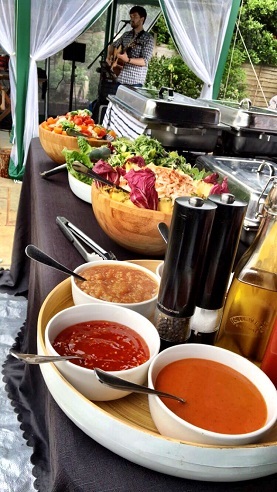 Planning a special event can be stressful, but organising your catering needn’t be. We ensure you have more time to focus on getting the finer details right. When you book us, you can rest assured we’ll turn up and get the job done well, from preparing the hog roasting machine to cooking the food and serving it up to your guests. We know how to satisfy organisers and guests alike. Oxford, what a delightful place to be able to work, live or even just visit. It is hard to know quite where to begin when it comes to talking about this incredible city. Located in the southwest of England in the spectacular county of Oxfordshire, this historic English city is one admired by all. Not only is Oxford proudly recognised by the rest of the UK, but it is even renowned around the world for it’s much envied university and it’s city skyline full of spires. Let me take you back to last summer. 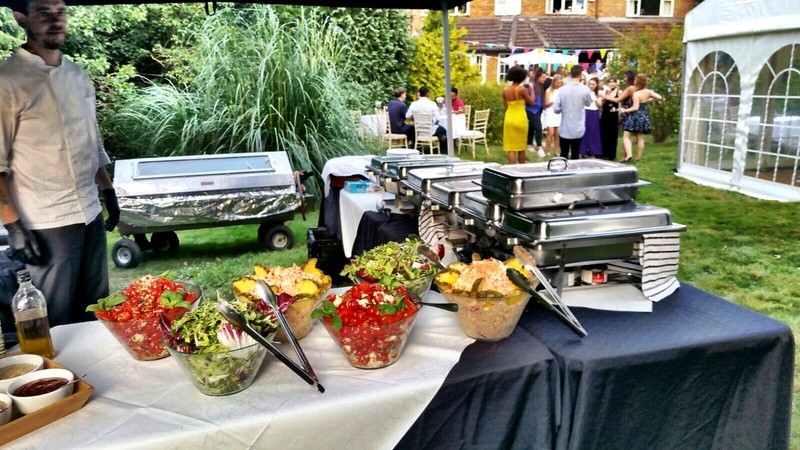 It was a hot, sunny day in July and the team here at Hog Roast Oxford had the pleasure of providing some immense food for a lovely couple’s dream wedding day. As the happy couple’s guests formed a hungry and eager queue for their tasty feast, I was reminded again of what makes our catering company so special. 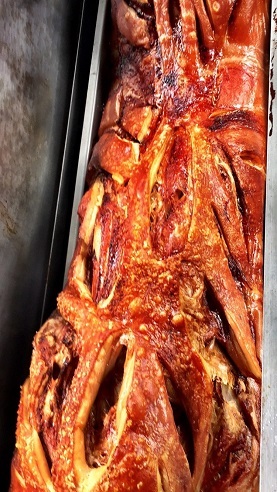 I am lucky enough to have a wealth of different aspects in which I gain pure job satisfaction here at Hog Roast Oxford, everything from a comment on how moreish our crunchy crackling is, a compliment on the knowledge and professionalism of our staff or even just the sweet success of guests returning for seconds or even thirds! But there is one particular aspect which makes me prouder than all – the ability to see how our food can bring so many people together. Our expert spit roast machinery has witnessed laughter, many happy tears, hugs, and lots of dancing! Here at Hog Roast Oxford we have had the honour of participating in some of the most important and special days of our customer’s lives: Weddings, christenings, family reunions and those special anniversaries. If you are looking for a caterer that is not only passionate about the quality of the excellent food they provide but also ensuring your guests have a five star dining experience with our sociable spit roasts, then consider us here at Hog Roast Oxford. Hog Roast Oxford can provide all you need when hiring a hog roast machine, which includes not only the equipment, the cooking gas and the hog itself, but our trained chefs too. All our food is freshly cooked on site, in front of your guests if you wish, which provides an element of entertainment too. Get in touch today so we can discuss your exact needs and give you a more accurate quote.